For pricing information email sales@sstusa.com. We are now offering a piping model conversion service since we understand that it may not make business sense for everyone to invest in a translator. You may, for instance, have only a few models you need translated. Or perhaps your need is minimal - say, one project a year. Whatever the reason, we feel that you can benefit from these services thus avoiding you the hassle of downloading/licensing/installing/configuring/using the translator. Client submits 3D design model(s) [PDMS, PDS, etc.] via secure FTP. 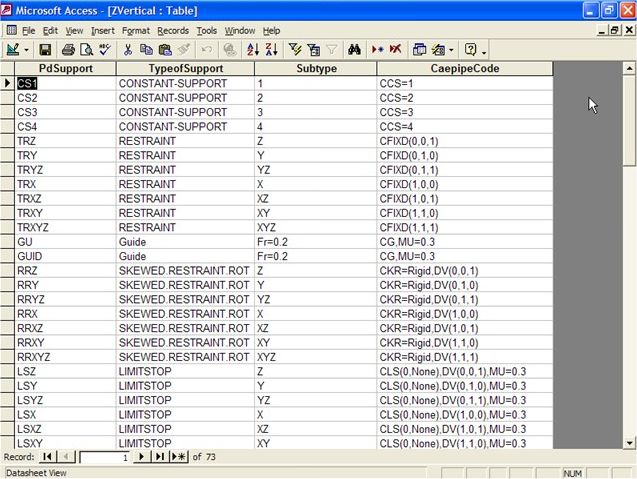 If necessary, SST generates a mapping databse for client to ensure correct material and support type conversion in translation. SST posts converted files (to CAEPIPE, C-II, etc.) via secure FTP for client to download. Repeat process to fine tune converted model as necessary.